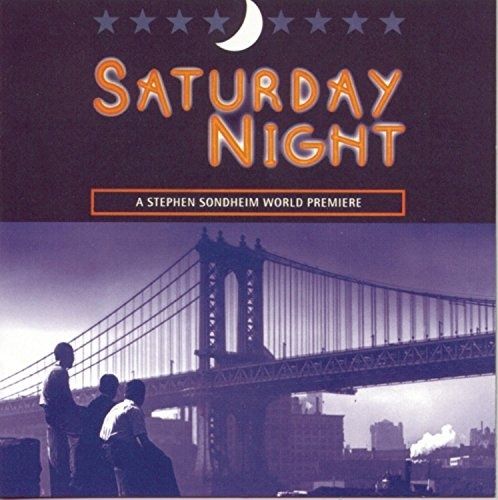 In 1954, Stephen Sondheim, in his early twenties, wrote the score for Saturday Night, a musical with a book by screenwriter Julius J. Epstein (Casablanca) based on his and his brother Phillip G. Epstein's play Front Porch In Flatbush, featuring a group of young, romantically inclined characters and set in the 1920s in Brooklyn. Bound for Broadway, the show was derailed by the death of its producer. Sondheim achieved success three years later as the lyricist of West Side Story and went on to an acclaimed career. Songs from Saturday Night turned up here and there, notably in the 1981 Off-Broadway musical Marry Me A Little, but the show itself was never produced until it opened at the small Bridewell Theatre in London on December 17, 1997. This is the world premiere recording based on that production. It is a minor work compared to its composer's later achievements, but it displays his wit and gift for colloquial speech, as well as a broad musical knowledge that allows him to echo the popular music of the 1920s and yet sound contemporary to the show music of the 1950s. Occasionally, Sondheim has these lower class Brooklyn characters using words they would be unlikely to know, and occasionally the British cast lapses in their attempts at Brooklyn accents. But the score remains a wonderful find, and compositions like "Isn' t It?" and "What More Do I Need?" deserve a place in Sondheim's catalog of great theater songs.